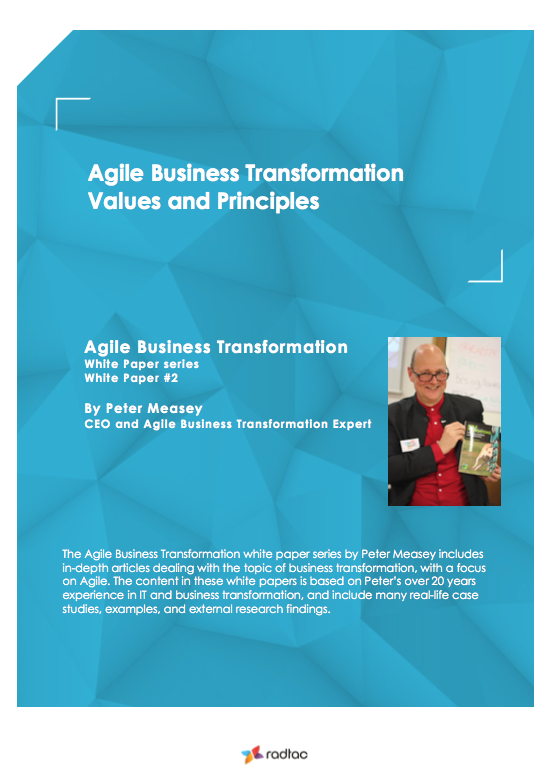 The Agile Business Transformation white paper series by Peter Measey includes in-depth articles dealing with the topic of business transformation, with a focus on Agile. 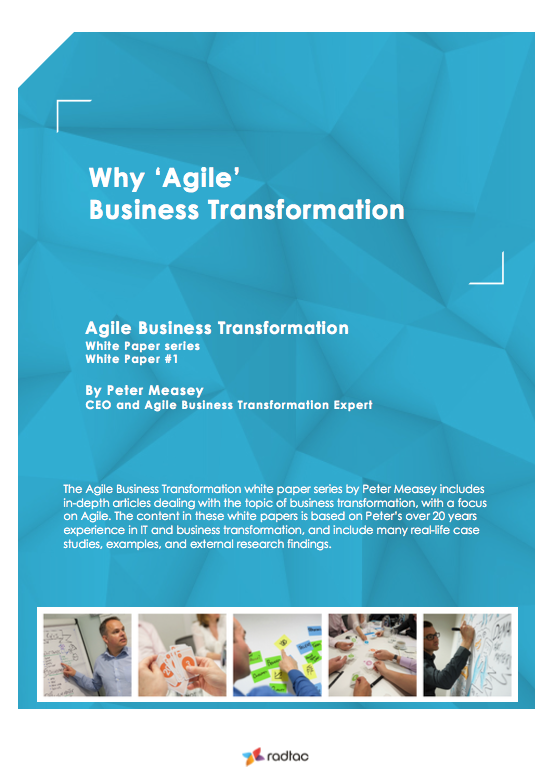 The content in these white papers is based on Peter’s over 20 years experience in IT and Business Transformation using Agile, and include many real-life case studies, examples, and external research findings. What the current state of Business Transformation is and how it has evolved compared to 20 years ago. Why Business transformation needs to change. What outcomes you could expect from an Agile Business Transformation. What are the values and principles of Agile Business Transformation.